Latest post Sat, Oct 13 2018 10:33 PM by sublime crown. 12 replies. We are new users to the program, new subscribers using Avid media composer version 2018.9. since we have purchased our subscription (online), we have not been able to use the Chroma key/spectra matte function at all. as soon as an instance of the plug in is dropped on the footage to be affected, the program crashes. subsequently any projects with existing key functions remaining on the files, do not even open or crash at opening. as well the stabilizer* effect/plug in is triggering the same set of issues. Since purchasing the subscription, we have submitted at least 10 crash reports to avid as per the prompt and in the last 24 hours we have experienced about 15 crashes. 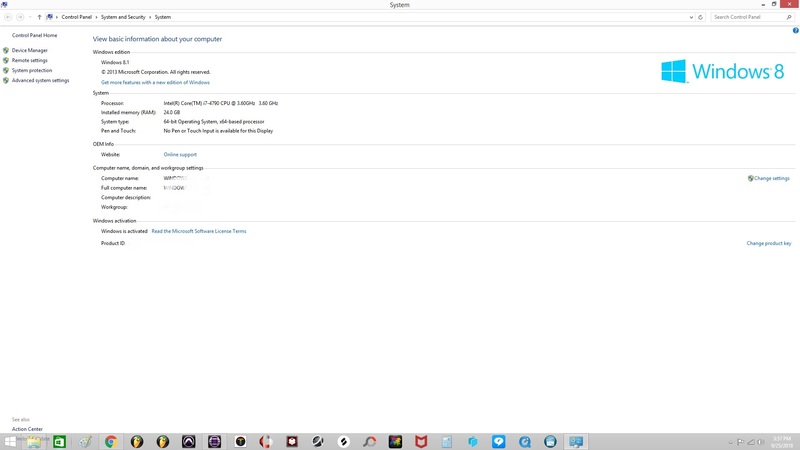 The software is being operated on a Dell pc with a windows 8.1 operating system ( see attachments* below ). any assistance would be appreciated as this is a major inconvenience, disappointment as new users and affecting our ability to make a living. the rest of the program is functioning feasibly to our liking so far. thank you. case number for what exactly/where would we find it? thanks Marianna. I thought you spoke with support.... they shoud have created a case for the issue and you should have received an email with the # on it. did that happen? 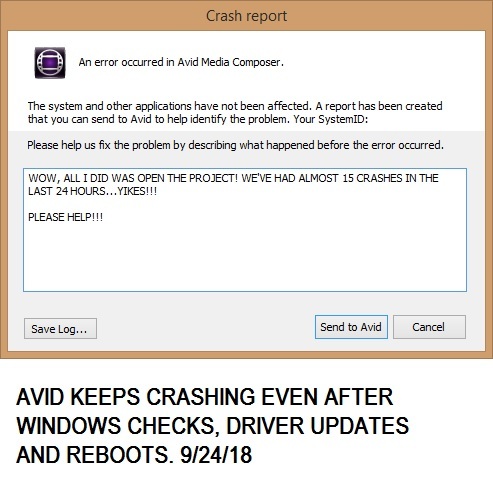 Hi Marianna - sounds like they are talking about the crash report dialog automatically presented to the user when MC crashes and then that dialog sends a report to Avid. I'd agree. Windows will generate a system crash report but I'm not sure it gets sent anywhere useful. A specific support call needs to be made to generate a case and start the investigation process. I'd also agree it could easily be GPU / GPU driver related. I think Windows 8 is still supported but I'd certainly move to windows 10 if possible. Windows 10 often reports as Windows 8.1. ...hey Marianna, no we never spoke with any support via phone, all assists brought us here. we have no cases officially in queue, how would we go about initiating that? ...hey BarkinMadd, correct. We just asked Marianna about how to initiate the case process because all help we looked for directed us to this forum only. Below is our GPU card info...by project format do you mean for example we're usually in 1080p/29.97? The media on the timeline is usually imported mov, mp4, h264, avi..
We see the debate regarding our operating system...could running off windows 8.1 be a huge issue? We ran through a number of checks with our Dell service support and they confirmed all drivers were up to date. What should we be looking at currently? Lastly does these circumstances also affect importing and the utility of codecs/compatitability or should transcoding always help no matter the operating system? We have a few issues importing files that to our knowledge should be supported. ...hey jwrl, can we conclude that our operating system is then not to blame/source of dysfunction? We ran through a number of checks with our Dell service support and they confirmed all drivers were up to date, so kind of at a loss of what to look for. As well do you know if these circumstances also affect importing and the utility of codecs/compatitability or should transcoding always help no matter the operating system? We have a few issues importing files that to our knowledge should be supported. I created a case with reference number 03567685, the support team will reach out and investigate. Sorry for the late response: basically what changed with W10 was the user interface. Microsoft were happy with the operating system, but users disliked the W8 interface. Microsoft quickly changed that and reissued it as W10. So basically, the engine is the same, the paint job is different, it has a little more chrome and a neater looking gear shift. case number 03567685 [ GILBRAD ] Hello, please navigate us back to a customer care support agent as our open case is now closed with the same problems. The program is crashing immediately upon use of effects such as spectra matte, stabilizer... sometimes we must close and restart to simply import. Our backup editing software is not crashing upon use of the same effects, however in being new customers and upkeeping payments for the subcription this is highly frustrating and unjust. The exact same issues that our customer support care calls had attempted to solve through various live & remote efforts are continuing and the technical issues have halted our workflows. 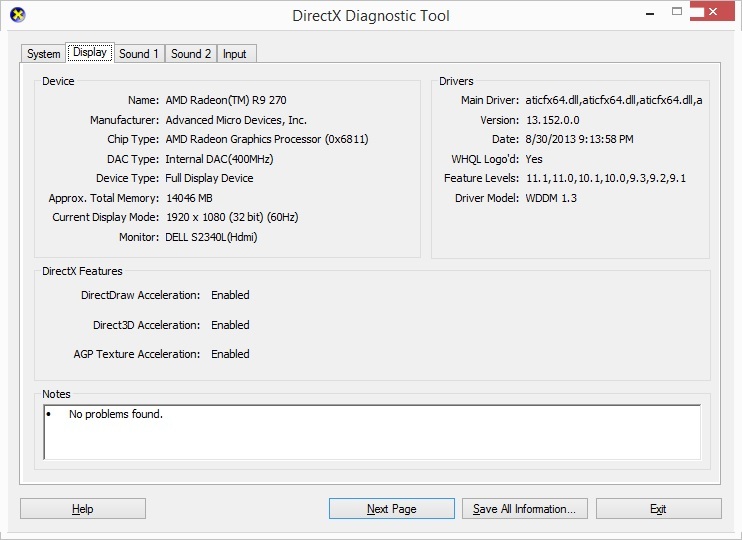 To our knowledge all drivers, updates etc are current with our computer, please see specs below. Please assist us as soon as possible, thank you.